So cool. Love to be able to play a '54. Just out of curiousity, how would you characterize the feel of the neck? Strats from '56 and '57 had the V-shape profile and some of them I think were rather large ("boat-neck"). I'm thinking in '54 they didn't have a definite neck shape. 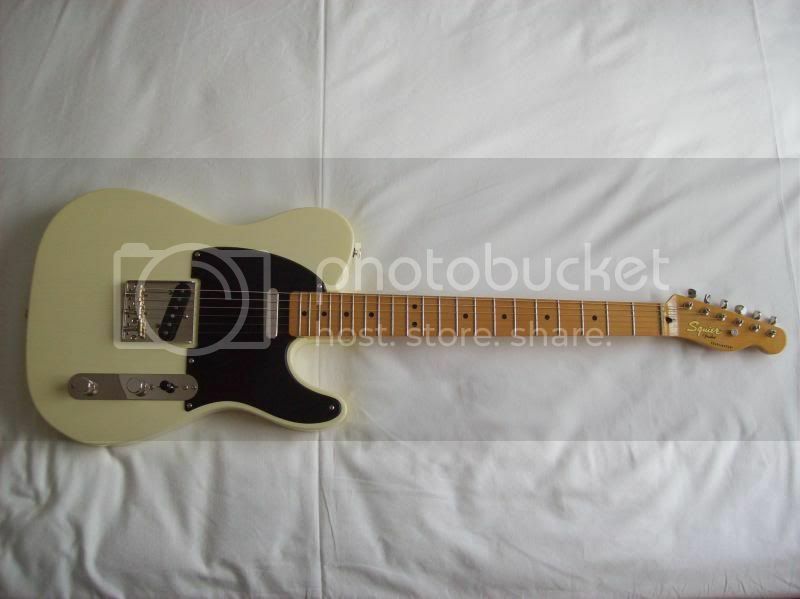 Also, that '59 must be from relatively early in the year because it's got a maple neck. 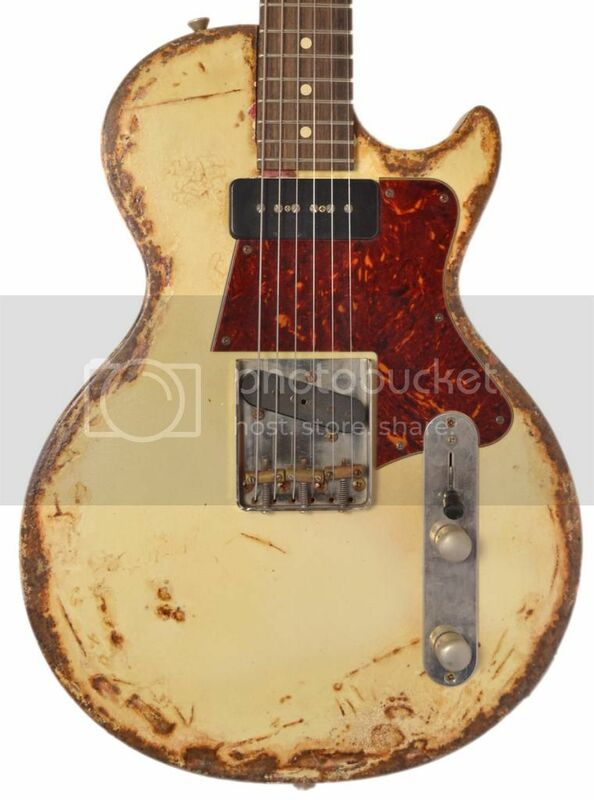 Most pics of '59's that I see have rosewood boards. The '54 and '59 necks are actually surprisingly similar (round C shape), although the '54 one maybe feels slightly fuller. The '59 has a May body date, so it must have been one of the last maple neck Strats made. Edited 1 time(s). Last edit at 2013-01-27 18:30 by Roadster32. 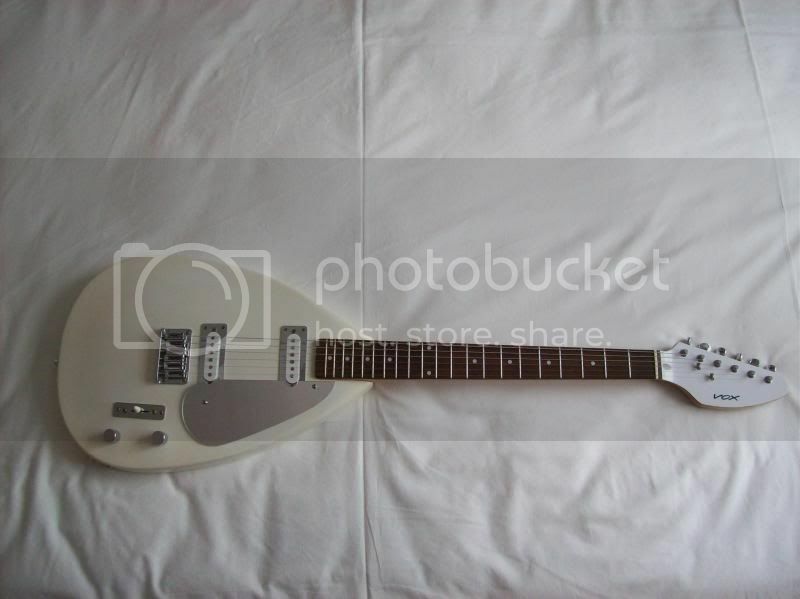 Roadster32, I would like to play this guitar a bit. Will you please drop in if you are around the neighbourhood? I live in Greece. 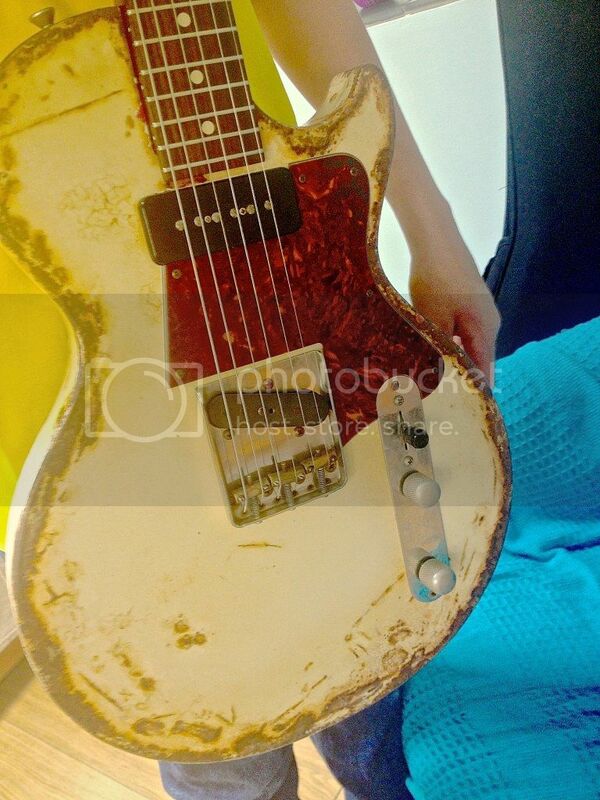 WOW... NICE Guitar for sure Roadster.... are those the infamous PAF's ? some charachter as well... great find! 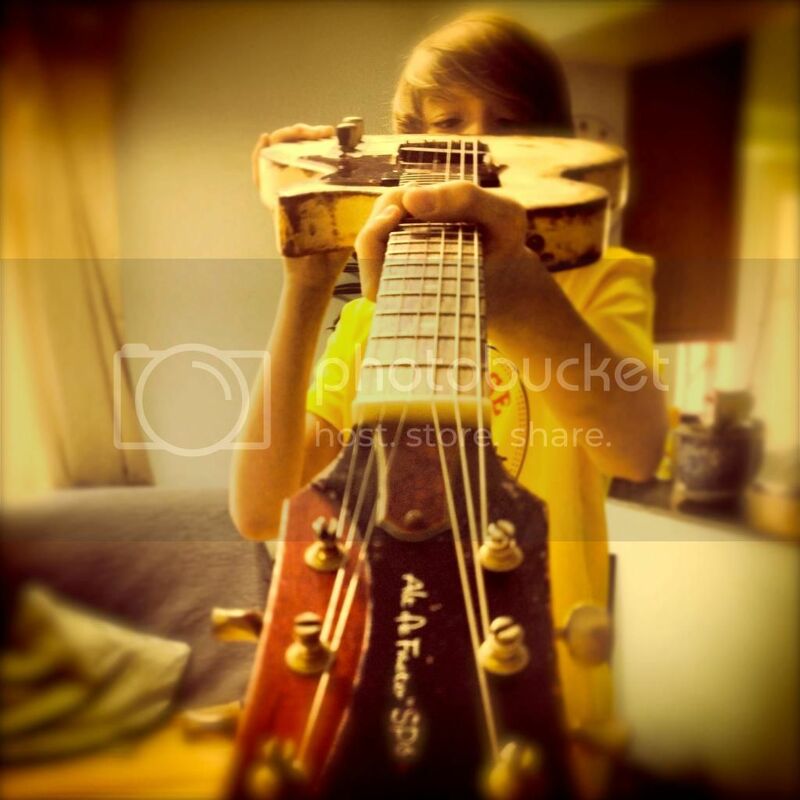 So many really nice guitars in here . Edited 3 time(s). Last edit at 2013-01-27 22:38 by ComeOn. Thanks. Yes these are the famous PAF's. 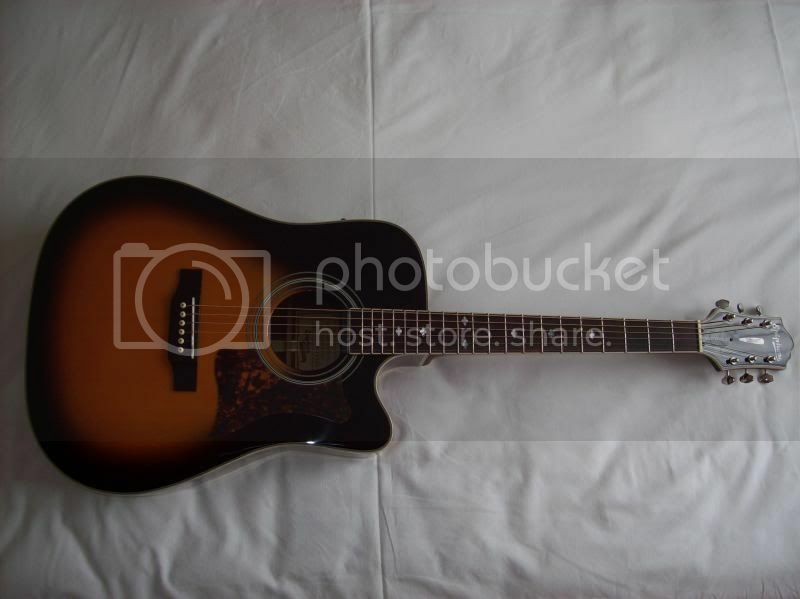 Took time to find a guitar like this- good condition but also lots of Mojo. 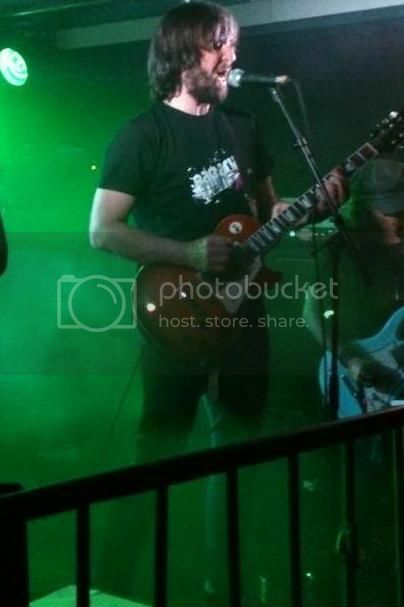 by the way i need a job as rockguitarist or bassist.. anyone interested ? Edited 2 time(s). Last edit at 2013-01-28 04:55 by lapaz62. my latest which i got 5/15/12 a fender custom shop wildwood 10,57 mary kay white blonde strat(ash body) with a quarter sawn maple neck with a 10 degree fretboard radius,soft V shape neck, and john cruz special design pickups,6.99lbs, and what i think is a really cool feature a tone control for the bridge pickup.medium jumbo 6105 frets .this guitar rocks .from wildwood guitars in colorado . Edited 2 time(s). Last edit at 2013-01-28 18:25 by TheGreek. 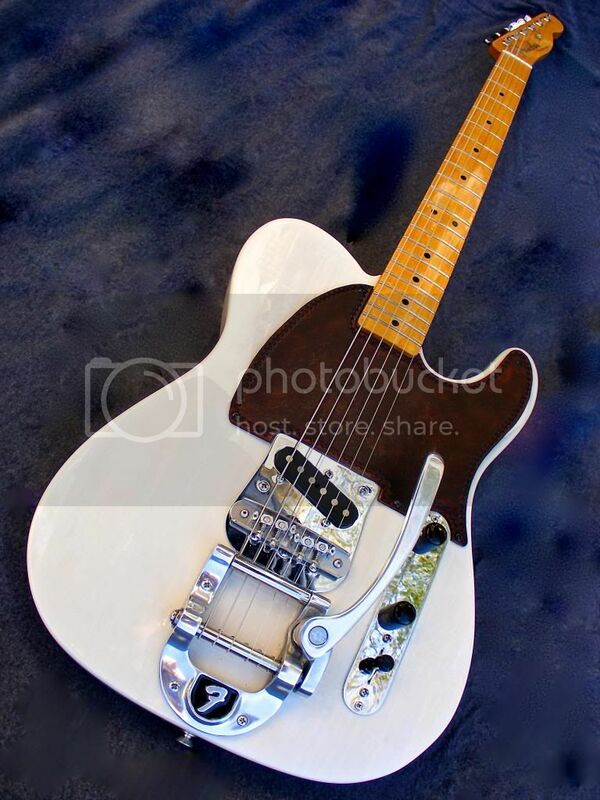 very nice vintage es 335 .this is really cool with the paf pickups.did you remove the bigsby? .this must have cost you $15 -30 k .big investment . Edited 1 time(s). Last edit at 2013-01-28 18:53 by TheGreek. Cant post an image aaaarrrrhhh!!! Edited 2 time(s). Last edit at 2013-05-24 14:51 by DandelionPowderman. Edited 1 time(s). Last edit at 2013-05-24 15:18 by phelge. After two years in the flightcase I recently started using my LP Standard on the last tour. In DC with my Gibson Standard one of 5 guitars. My second 6 string Teardrop currently under refurbishment. I thinned the herd out. 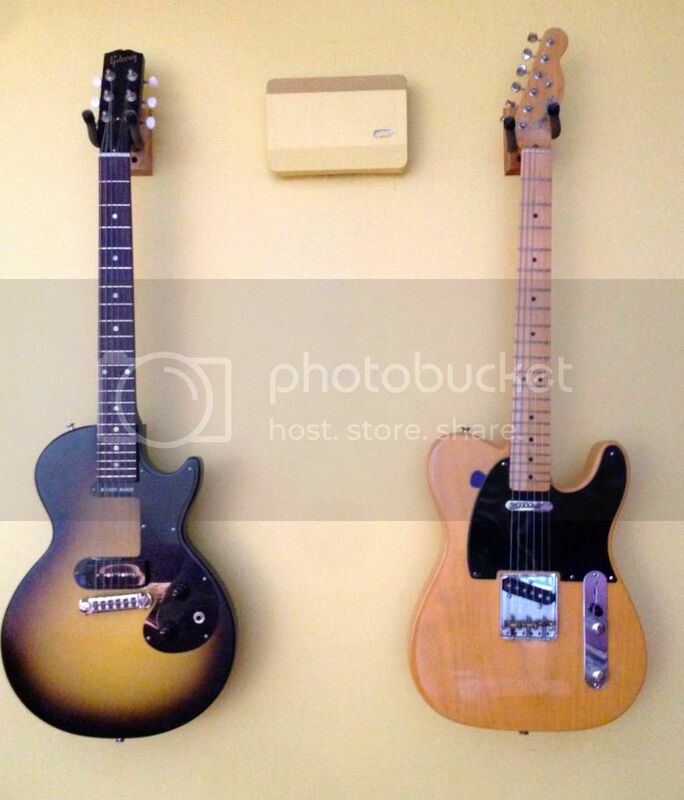 Here are my two babies: Gibson Melody Maker (with P90), and a '52 reissue Telecaster. Sweet TeleK!!! Happy day for you! ill test both next days more,...so maybe i can tell something bout the ampeg,..